Last month, we learned that Marvel would be serving up another binge-able superhero series with the arrival of Luke Cage on Netflix this fall. 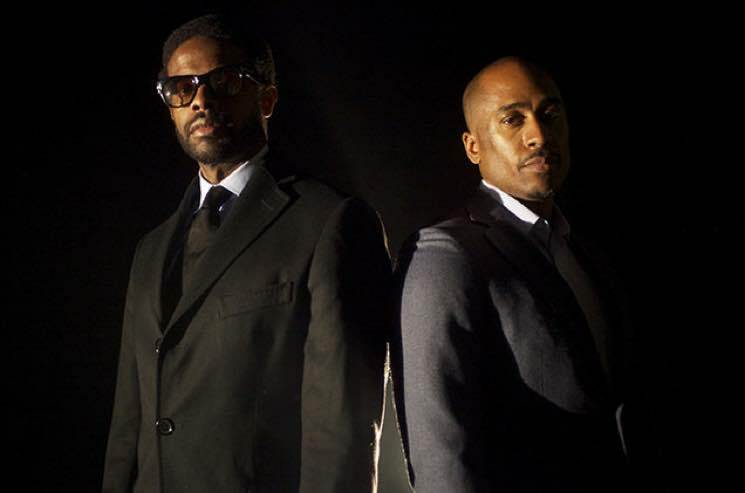 Now, some details about the show's musical accompaniment have emerged — A Tribe Called Quest's Ali Shaheed and composer/producer Adrian Younge have revealed that they're teaming up to score the new show. The pair previously told Pitchfork that they had been collaborating on a TV score alongside a full orchestra conducted by Miguel Atwood-Ferguson, and now Luke Cage showrunner Cheo Hodari Coker has confirmed that this was the project they were alluding to. Brainfeeder label affiliate Atwood Ferguson's prior collaborations include work with artists like Flying Lotus, Big Boi and Rihanna. Younge, meanwhile, has been praised for his cinematic approach to production on his work with artists like Ghostface Killah and Bilal. And as for Muhammad and Younge's most recent work together, the pair pulled production duty together on Kendrick Lamar's untitled unmastered. track "untitled 06 | 06.30.2014." In an interview with Entertainment Weekly, Coker described the upcoming series as a "fusion of dark drama, hip-hop and classic superhero action," and confirmed that Younge and Muhammad had been enlisted to capture that feel in the music. Coker also revealed that there will be "a lot of different musical appearances" intermingled with the Marvel action, as the show tackles "a lot of different issues" — self-imposing a hefty comparison between the style of his show and that of The Wire. Luke Cage stars Mike Colter and Simone Missick along with Alfre Woodard, Mahershala Ali and Rosario Dawson, and will hit Netflix on September 30.